Let's talk about bikes - and bike accidents. We all know that bikes were meant for more than just riding. They were meant for tight spin-outs, wheelies, jumping on homemade ramps, racing cars, and riding without hands. Even at a young age, I always had a hard time staying away from stupid feats of physical prowess that usually consorted with danger, mishaps and blood. 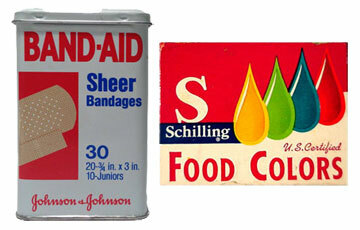 Band-Aids, gauze and the white medical tape (the kind strong enough to hold car bumpers together) were all staples in our household medicine cabinet. It was on those gnarly asphalt, or graveled roads where our dreams of glorious victory resided; in the medicine cabinet was where the agony of defeat lay. Guys like Steve McQueen, James Bond or The Man from U.N.C.L.E. were my idols; if death-defying danger was good enough for them, surely it was good enough for us regular guys on the block. Dangerous stunts and great feats of daredevil agility were common activities for me and the local daredevils in the neighborhood. on a daily basis was also the thing to do if girls were around. The more dangerous, wild, fast or life-endangering, the better it was if they were watching. Girls were often deliberately aloof; therefore, any hint of recognition was a positive sign. Getting their attention without "getting their attention" was probably the most difficult feat of all, far more difficult than our daring stunts. Brilliant feats of stupidity were usually best accomplished on a bike when girls were watching. I've had some nasty bike accidents growing up, many of those I walked away unscathed. For the most part, I always felt I deserved some blood; something worthy of putting the gauze and white cement tape to. Afterall, if I decided to ride off the end of a concrete chunk in a construction lot, fall face first into the dirt, I deserved a little blood! Often these "Bloodless" accidents led us guys to believe that perhaps, like The Green Lantern, Batman, or The Flash, we were actually invincible. Thus, being invincible, bigger and better feats of idiocy were in order. I've seen other kids do things on bikes that should be written on their headstones by now, yet they survived. However, there was the case of young David from across the street who took a header over the handle bars and knocked out his front tooth. That incident was pretty much a wake up call for a lot of us guys as there was lots of blood. Tree climbing, fence walking, or traffic dodging were all good fun, but nothing could beat a bike; bikes did it all. One of my favorite all-time wipe-outs was on a gravel road where I proceeded to take about 8 inches of skin off my knee, forearm and elbow. And yes, girls were watching. There was one day in particular that still calls out to me from the dank recesses of my vaulted memories. This was a time when I managed to do a serious bang-up job on myself via my bike. The day was warm, perhaps late May or early June-definitely short sleeve weather. It was also overcast and balmy; in the Pacific Northwest, the typical prelude to Summer usually begins with gray days that threaten, or bring rain. They also pop in like unwanted guests sporadically throughout summer as well. It was morning, and a group of girls were playing in the yard near a neighbor's porch. They were all watching as I cruised around at high speeds. I passing their field of vision without so much as giving them a sideways glance. (Girls were not the only ones skilled at being aloof). Once I had their full undivided attention, I started off pedaling on smooth asphalt until I reached a super speed. At that point I headed straight for a patch of gravel to perform an awesome spin-out, the type that I'd done hundreds of times before. On this day, earth forces were not with me, and I performed a hefty spin-out that introduced me to a mantle of hard cut stones and the uncouth dirt. For stupid kids like me, those old gravel roads were nothing more than nature's grinding wheel. For some reason I was not one with the universe-or-the gravel; My bike had behaved badly. Instead of spinning out, it betrayed me! 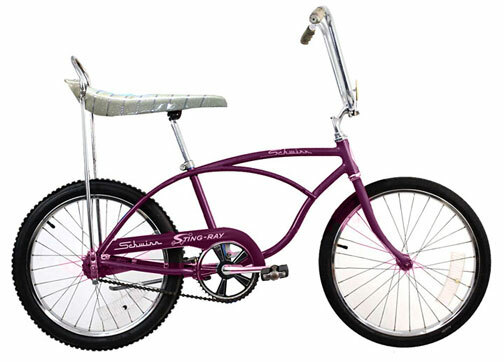 The front wheel came down first and stopped abruptly in mid-turn causing the back end to flip upward in the same manner one might flip a piece of Jell-O off their spoon toward a sibling at the table. (I have done this, I know the velocity.) I was thrust chest first into the gravely rocks and unforgiving dirt crunch of gnarly road. Saying "ouch" at this point, would be a gross understatement. Under spacious skies, and amber waves of pain, I knew I'd crossed the threshold between fun and casualty. As I lay, tangled like a pretzel, I could feel that I'd done some decent damage to myself. Climbing out of the wreckage, I saw a huge flap of skin hanging from my knee, and the underside of my right arm from the elbow down looked as if I'd tried skiing down a cheese grater. I was wearing cut-offs (brilliant) and a T-shirt (the riding gear of my people). Covered with gray dust and brown dirt, the red began to flow. I looked up momentarily at the girls playing in their yard. They gazed back in horror, some with hands over their mouths. This sort of audience response makes a guy hesitant to look down to see the rewards of his performance. Yet, look down, I did. The red was flowing very swiftly now, knee and elbow both competing for the highest volume of blood loss. I left my bike in the road, and ran into the house screaming for Mom. It took a bit of cleaning-painful cleaning-but Mom got the wounds all ready for the bandages. Each time I grimaced, yelled, cried, begged, pleaded, or called for an attorney, all I received was "Well, what do you expect riding around doing dangerous stunts like a fool, showing off in front of the neighbor girls?" Wait...how did she know about that? I was always dumbstruck by how Mom knew exactly where I'd been, and what I'd been doing. The bandages actually had to stay on for about a week over that one. They were cool too, as the wounds were far too large for the simple Band-Aid. I took a lot of patching up. My mom had to use gauze, and the flesh-peeling white tape. The skin on my knee was torn pretty good and was the worst part of the injury. That one took a while to heal up. I suppose that bike fatality was my worst. The real pain was not in the injury, or the cleaning, or the iodine, but the stern lectures from Mom that followed. There were threats of taking away my bike for a month "if I ever tried anything like that again." I learned a lot from that little incident. Growth and wisdom proved to be a very beautiful thing as I progressed from the fourth grade to the fifth, for I learned absolutely nothing from my experience. Would I do it again? Of course I would. Perhaps I should have considered a career as an actuary (a person who compiles and analyzes statistics and uses them to calculate insurance risks and premiums), for I learned that the odds of an accident like that happening again were probably behind me, and to continue showing off for girls was still the thing to do. I did look very cool with the bandages though, I have to admit.